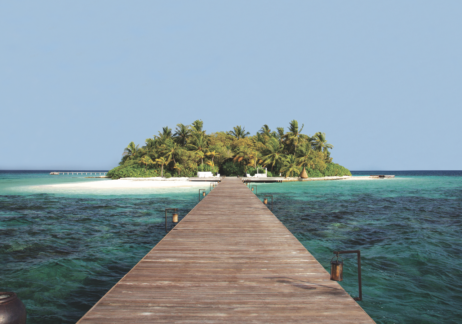 Nestled within the constellation of islands that form the Noonu Atoll in the Maldives, Velaa Private Island takes exclusivity to the next level with facilities and service that go beyond traditional resorts. 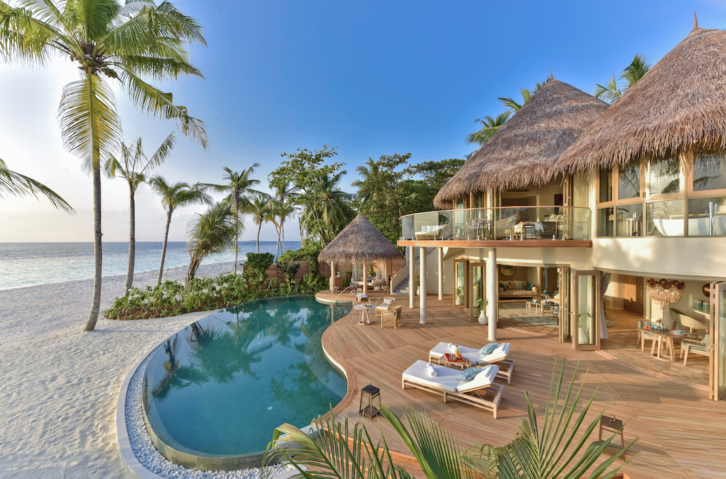 Designed by award-winning Czech architect Petr Kolář, Velaa Private Island is the realization of island owner Jiri Smejc’s dream to create a ‘beyond luxury’ exclusive boutique hideaway. Velaa means Turtle Island in the local language, named after generations of sea turtles that flock there to nest. 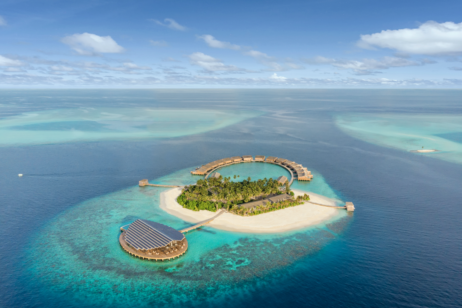 The island’s exclusive over-water villas are also constructed to resemble the head of a turtle, with the natural island forming the body. Secluded on a pristine private beach, the carefully curated interiors deliver comfort, style and elegance. Large enough to accommodate a group of 10, these two-story detached residences are laid out with privacy in mind. Each of the four bedrooms face the ocean across a stretch of sand; the second floor bedrooms have generous balconies while the first floor opens onto the pool. Indoor and outdoor bathrooms are connected by a garden atrium. Flanked by two gazebos for dining, resting or playing, the pool reflects the ocean and is the central focus. A gym, spa room and outdoor living area offer plenty of quiet spaces to retire to. Subdued lighting and large-format photography provide visual breaks to the natural wood and Jordan tile stone that set the tone of the interiors. As Velaa is one of only four hotels in the world to partner with the distinguished spa brand My Blend by Clarins, the island is a center of wellness. 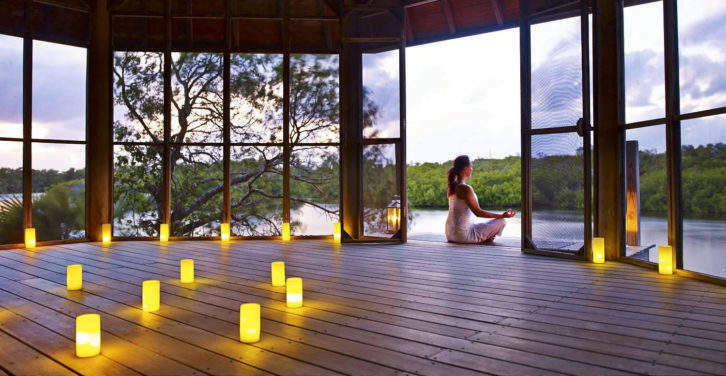 The facilities feature six spa suites nestled over the island’s lagoon, with two suites reserved for couples. 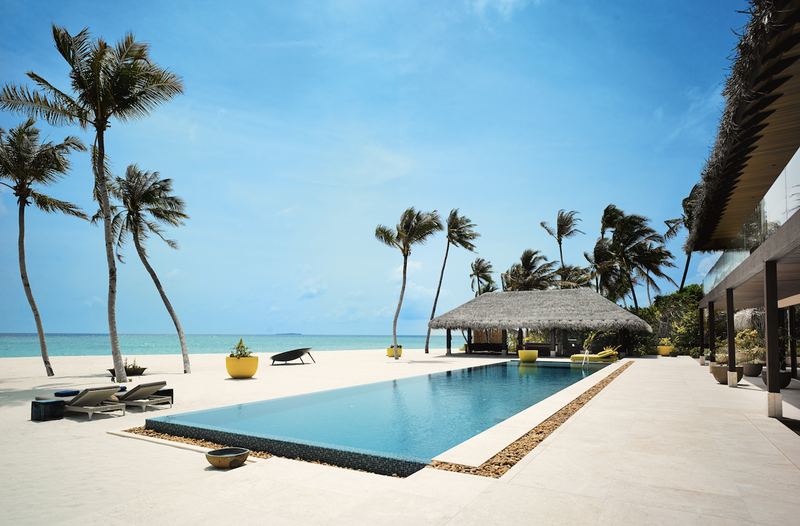 Additionally, all Velaa residences include their own private spa suites with the full spa menu on offer. My Blend spa also hosts one-of-a-kind experiences such as the Cloud 9 flotation suite and the only snow room in the Maldives. With a twist on modern European cuisine, Aragu (‘essence’ in the local language) takes its gourmet experience to a new level, combining culinary art with awareness and sustainability. With flavoring carefully chosen and organic produce from all around the world for authenticity, Gaushan de Silva created an innovative twist on the evergreens of the old continent. For an aperitif, the Cru Champagne Lounge overlooks the Indian Ocean, and guests can savor some of the world’s finest and rarest champagnes under the guidance of expert sommeliers. Designed by José María Olazábal, renowned for his short game prowess, and managed by Troon, the leader in upscale golfcourse management, Velaa Golf Academy by Olazábal is a golfing experience like no other. Practice with a state-of-the-art simulator, try the putting green and tailored tuition programs, get one-on-one tuition with all the latest technology, or try the swing studio equipped with the most up-to-date technology to enhance your learning experience.